WASHINGTON - Singapore is a target for the Islamic State in Iraq and Syria (ISIS) whether or not the country participates in the US-led coalition against the militant group, said Prime Minister Lee Hsien Loong on Wednesday (Aug 3). He was explaining that the decision to send a medical team to contribute to the effort against ISIS was made with Singapore's safety in mind. Speaking to reporters from Singapore as he wrapped up an official visit to the US capital, PM Lee dismissed the notion that Singapore's participation would make it more of a target. "We are a target of ISIS anyway. The JI (Jemaah Islamiyah) were looking for us before we did anything and before we knew they existed," he said. "If they see Indonesia and Malaysia as legitimate targets, all the more Singapore is a rational, open, cosmopolitan country, and not what they think countries should be, and therefore should be attacked. So do not think that by lying low, we are not going to be a target." On Tuesday, Mr Lee had announced that Singapore would be sending a medical team to contribute to the effort against ISIS. He noted that Singapore also has had detachments in the Middle East for some time. At different times since 2014, Singapore has deployed Singapore Armed Forces (SAF) liaison officers to the US Central Command Headquarters, Intelligence Fusions Officers, an Imagery Analysis Team, and a RSAF KC-135 tanker to support air-to-air refueling operations. The Ministry of Defence said that the deployment would be similar to previous SAF medical deployments during Operation Blue Ridge in Afghanistan. The size of the team has not yet been set and the SAF will first send a Needs Assessment and Survey team to assess the needs, before determining size of the support team. As PM Lee explained in the interview: "We will send a team, we will go and recce, understand the circumstances, understand how best we can work, and whom we are working with, and then we will see how we will do it. But we will do it." Apart from the contribution to the effort against ISIS, the joint statement between the US and Singapore that was released after PM Lee met President Barack Obama in the Oval Office also mentioned that the Singapore Air Force was exploring the possibility of training in Guam - a US territory that is home to the US Andersen Air Force Base. Mr Lee said those discussions were still in the preliminary stages. "The Air Force is always looking for opportunities to expand its training options because we are so airspace-constrained in Singapore. So we have fighter training in America, fighter training in Australia - we have a flying training school there, we have got a facility in France in Bordeaux," he said. 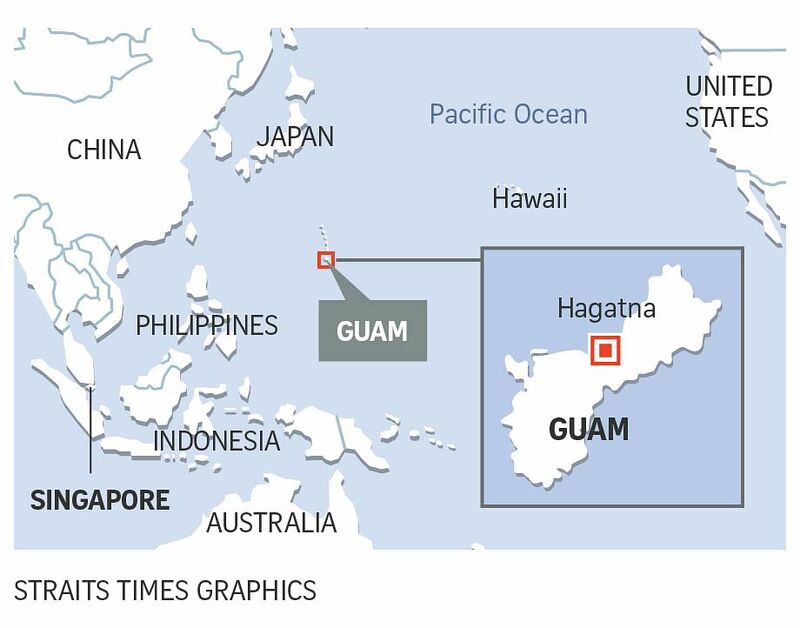 "And Guam, geographically, is a bit closer than these places. Not as close as next door, but not so far away. And the American forces are there, and there is a good possibility of us working together with them, and developing a training facility there. It's something we are discussing but it's still in the preliminary stages." Guam is an island in the Pacific Ocean, approximately a four-hour flight east of the Philippines.